With picturesque gardens, stunning views, 40 hectares of farming bordering Mt. 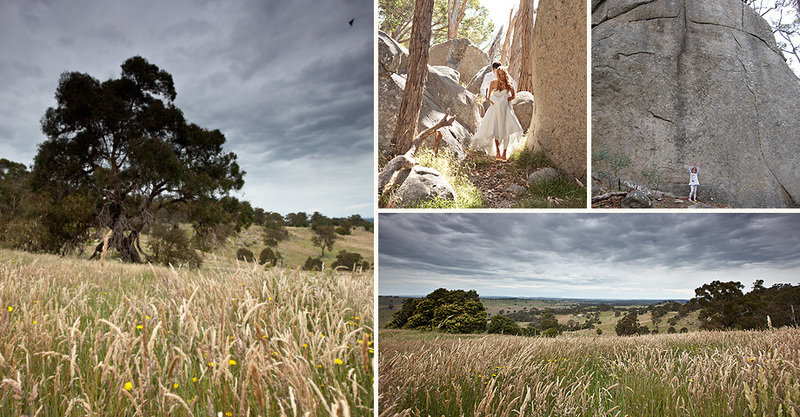 Alexander National Park, magical granite outcrops, beautiful yellow box gums, native and ornamental trees, kangaroos galore and an abundance of bird life including wedge tailed eagles, Mica Grange is heaven for photography and film. See our Gallery or Australian Country Gardens magazine, 2014 edition for recent photography and About Us for contact and direction details.